AHMEDABAD: A meeting of the steering committee formed for translocating lions from Gir Forest in Gujarat to Kuno Palpur in Madhya Pradesh was held in Delhi on Tuesday. The committee directed the Madhya Pradesh forest department to form a panel similar to the one in Gujarat. The steering committee has asked the Wildlife Institute of India (WII) to appoint its representative in both the committees. 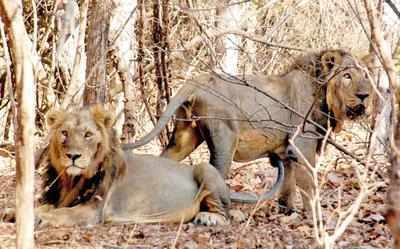 In 2013, the apex court had ordered the translocation of lions from Gir to Kuno Palpur. The steering committee comprises six members and the additional director general of forests (of the ministry of environment, forest and climate change) is the chairman. The others members include a scientist, the representative of the WII, principal chief conservators of forests from Gujarat and Madhya Pradesh, and the director of wildlife preservation from the ministry.